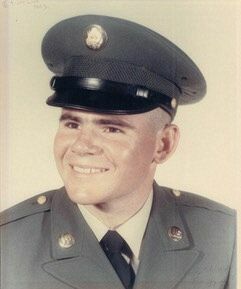 Gary Michael Rose was born on 17 October 1947 and enlisted in the US Army on 4 April 1967 from Los Angeles, California. He attended basic training at Fort Ord, California, and Infantry Advanced Individual Training at Fort Gordon, Georgia. 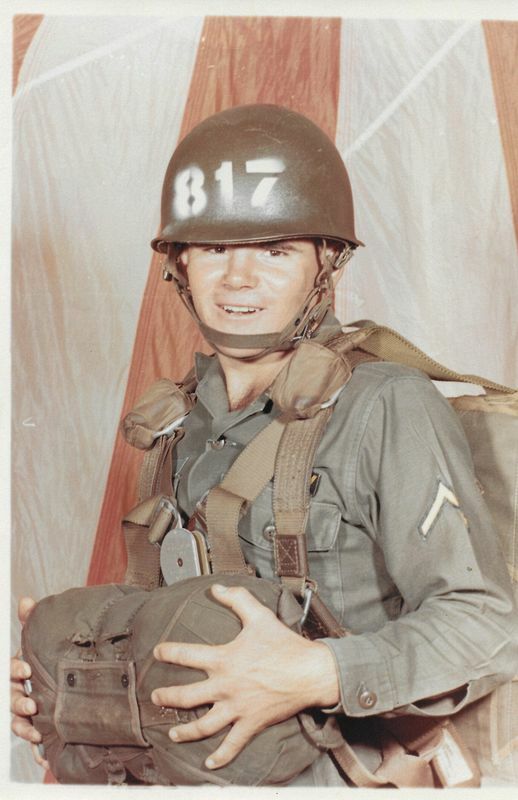 After graduating from AIT, he was promoted to private first class and attended the U.S. Army Jump School at Fort Benning, Georgia. In October 1967, Rose began Special Forces Training at Fort Bragg, North Carolina. A year later, he graduated as a Special Forces medic and was assigned to the 7th Special Forces Group. 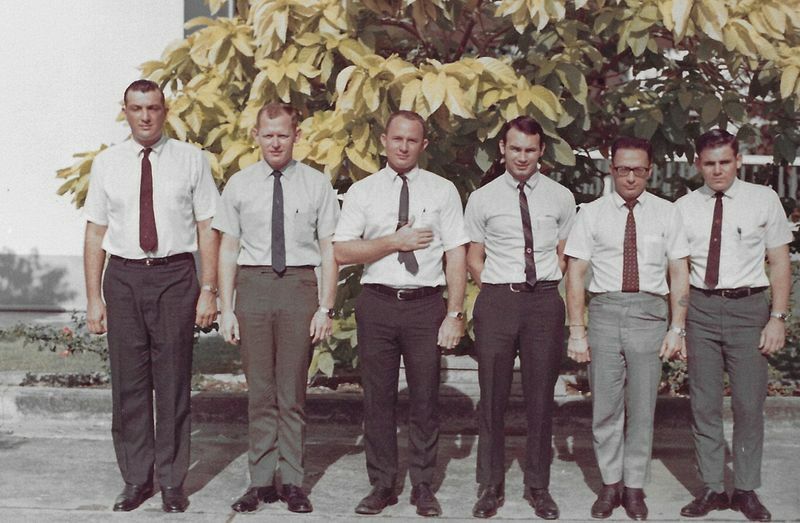 In April 1969, Rose was assigned to the 46th Special Forces Company, headquartered in Lopburi, Thailand. In April 1970, Rose was reassigned to the Military Assistance Command, Vietnam – Studies and Observations Group, 5th Special Forces Group. 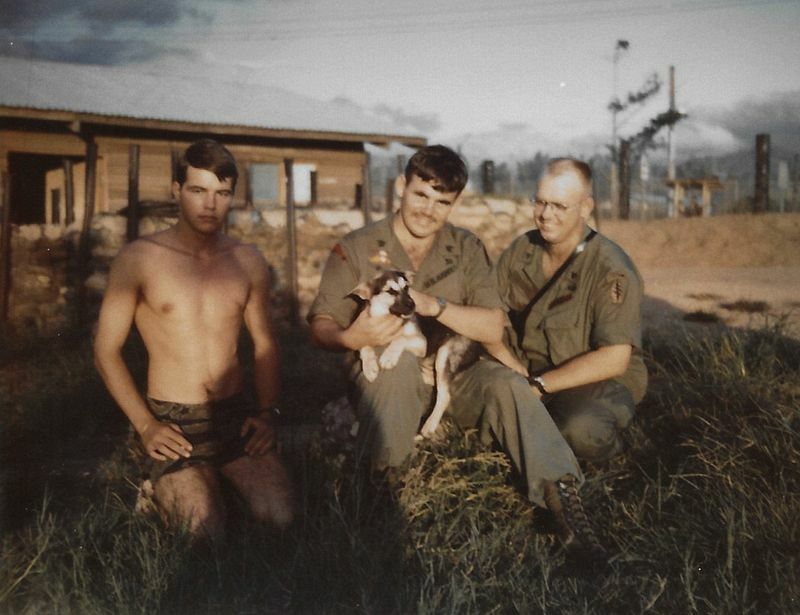 Sergeant Rose distinguished himself by heroism from 16 to 18 June 1970 while serving as platoon medic for the exploitation force operation deep in enemy controlled territory. On 16 June 1970 the platoon set up overnight position and on the morning of the 17th it made contact with an enemy squad, capturing one wounded soldier. Sergeant Rose moved under a renewed hail of small arms fire to the position and gave him first aid while firing at the enemy troops. Finally, contact was broken and the battered platoon moved south to set up another position which to spend the night. Early the next morning the enemy assaulted their position, wounding one American and ten Vietnamese. Sergeant Rose immediately left his position and moved through the fierce firefight to aid the wounded men. As he moved from man to man giving first aid and moving the wounded to safer positions, a B-40 rocket exploded close by and Sergeant Rose was hit. Disregarding the wound he continued to move about until 1400 hours when the platoon was able to move to a landing zone and be extracted. 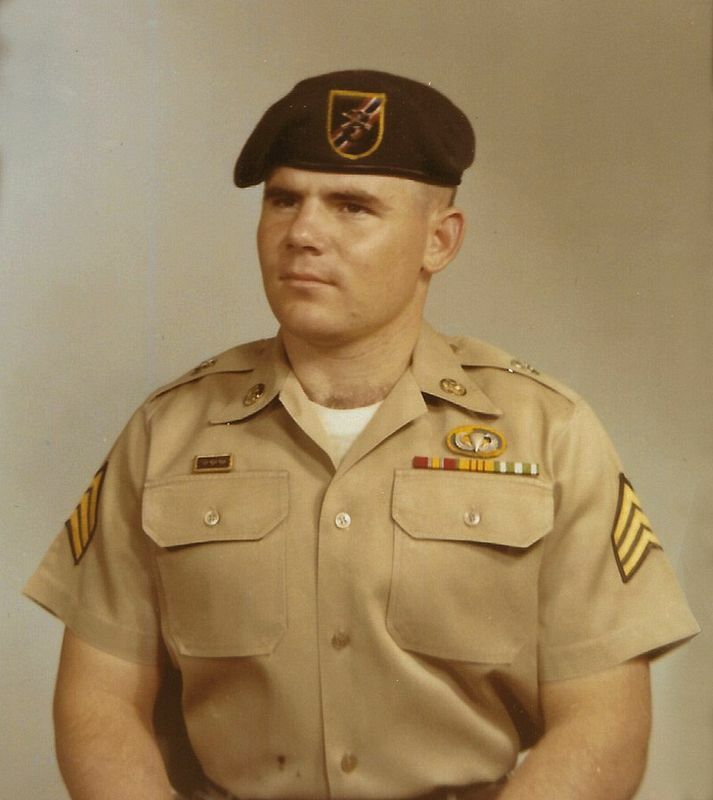 Sergeant Rose’s heroic actions earned him the Bronze Star with Valor Device and were in keeping with the highest traditions of the military service and reflect great credit upon himself, Special Forces, and the United States Army. 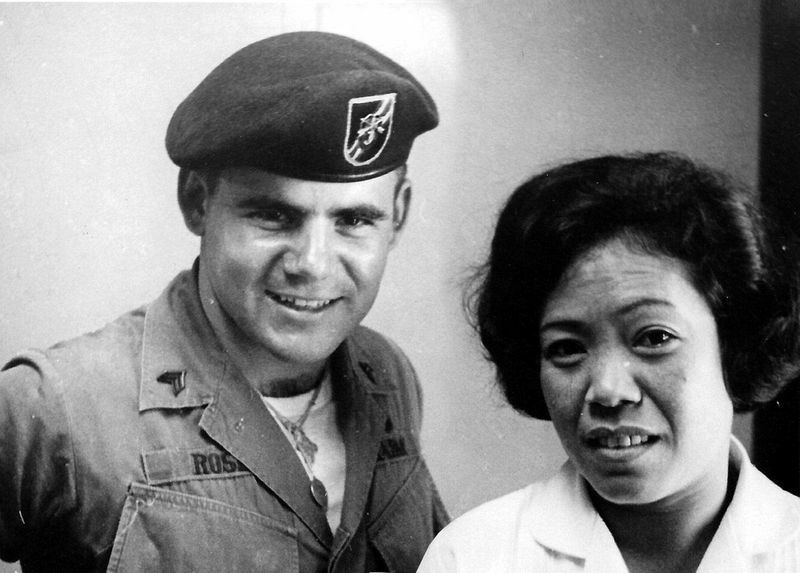 Sergeant Rose was serving as a Special Forces medic with a company-sized exploitation force consisting of Americans, Vietnamese and indigenous paramilitary Montagnard personnel that was inserted 70 kilometers inside enemy-controlled territory on Sept. 11, 1970. Once on the ground, they moved deep into enemy territory. The company soon made contact with an enemy squad, wounding two Americans and two Montagnards. One of the wounded was trapped outside the company defensive perimeter. Sergeant Rose, engaging the enemy, rushed to get the wounded Soldier. Sergeant Rose rendered expert medical treatment and stabilized the wounded Soldier, and carried the man through the heavy gunfire back to the company defensive area. When the enemy withdrew, the company continued deeper into enemy territory. The company engaged more enemy forces, and took more casualties. Bravely and courageously, with no regard to his own safety, Sergeant Rose moved through the enemy fire to render lifesaving medical treatment to the mounting numbers of wounded, personally engaging the enemy in order to get to the wounded men. The fire becoming so intense, Rose had to crawl from position to position to treat the wounded. As he moved, Sergeant Rose gave words of encouragement and directed the fires of the inexperienced and terrified Vietnamese and Montagnard troops. Over the next few days, the unit marched west and deeper into the Laos jungle, defending against continuous attacks from squad to company-sized enemy elements. Air Force gunships overhead provided close-air support to keep the enemy at bay. 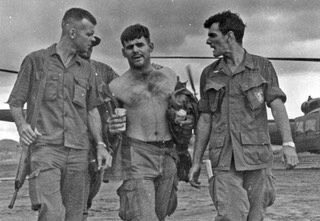 Sergeant Rose received the most severe of many wounds on the second day of the mission. Sergeant Rose’s wounds did not slow his eagerness or determination to save the wounded Soldiers. During an assault by a company-sized element of North Vietnamese Army, one of the Montagnards was wounded 40 to 50 meters outside the company area. 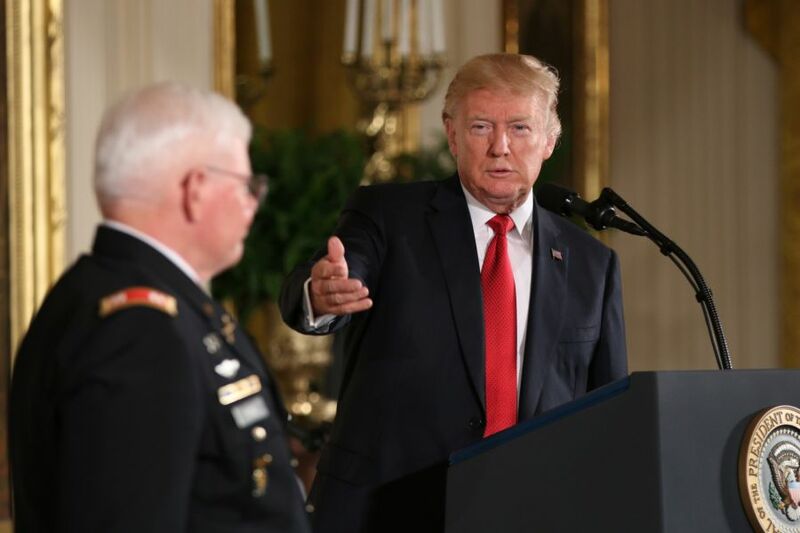 Sergeant Rose ran, crawled, and maneuvered his way to this wounded man, shielding the Soldier with his own body, as he rendered lifesaving medical treatment. 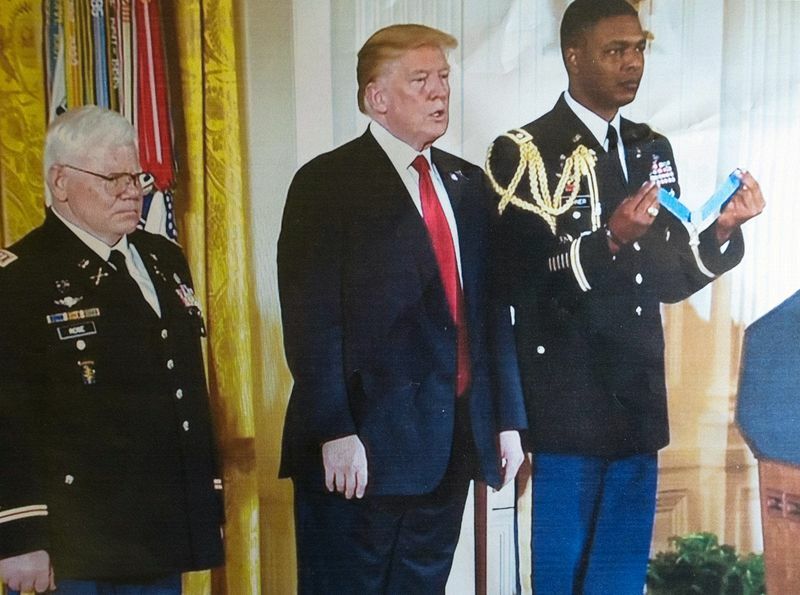 Sergeant Rose then dragged the wounded soldier back to the company with one hand while holding back and engaging the enemy with his weapon in the other hand. Sergeant Rose was returning to the company area with the wounded soldier when a rocket propelled grenade landed nearby, spraying Sergeant Rose with shrapnel in his back, leg, and severely crippling his foot. 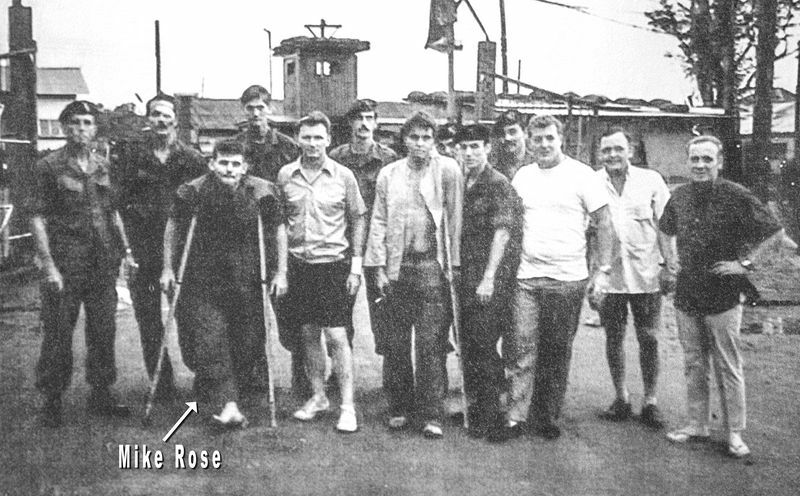 Using a stick as a crutch, as he would for the remainder of the mission, Sergeant Rose continued professionally treating the wounded while ignoring his own painful wounds. The company had taken so many wounded that a medevac helicopter was called. The helicopter was unable to land in the small opening where the company sought cover, and Sergeant Rose, standing and fully exposed to the withering enemy fire, attempted to pass the wounded up to the crew on the hovering helicopter. So intense was the enemy fire, the medevac pilot aborted the mission, and the severely damaged helicopter crashed a few miles away. Using close air support, the company was able to break out of their defensive position. Sergeant Rose improvised litters for the wounded, which now numbered over half the company. 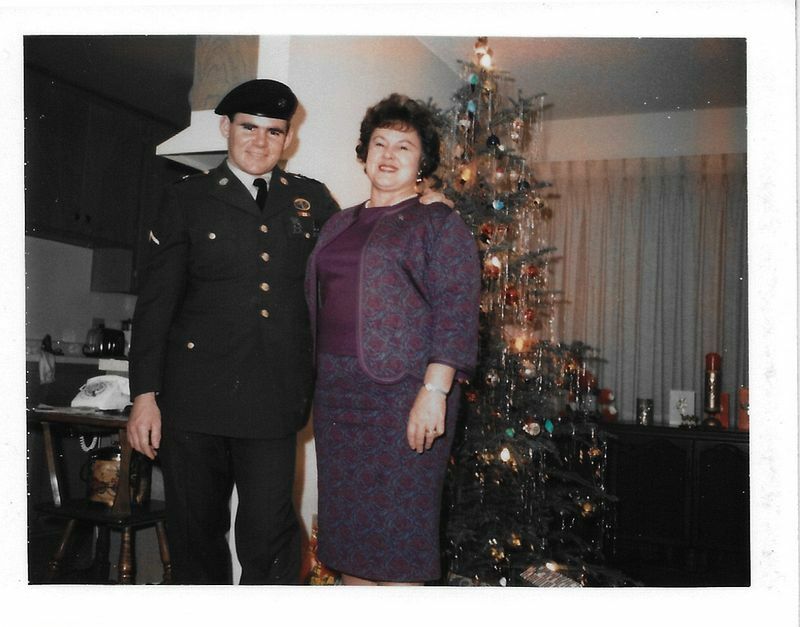 Despite his own painful and debilitating wounds, Sergeant Rose never took time to eat, rest, or care for his own wounds while treating his fellow Soldiers. On the last night of the mission, the company was surrounded in their position. Sergeant Rose worked tirelessly to dig trenches for the wounded and treat their injuries. The NVA bombarded the company all night with rockets, grenades and mortars. 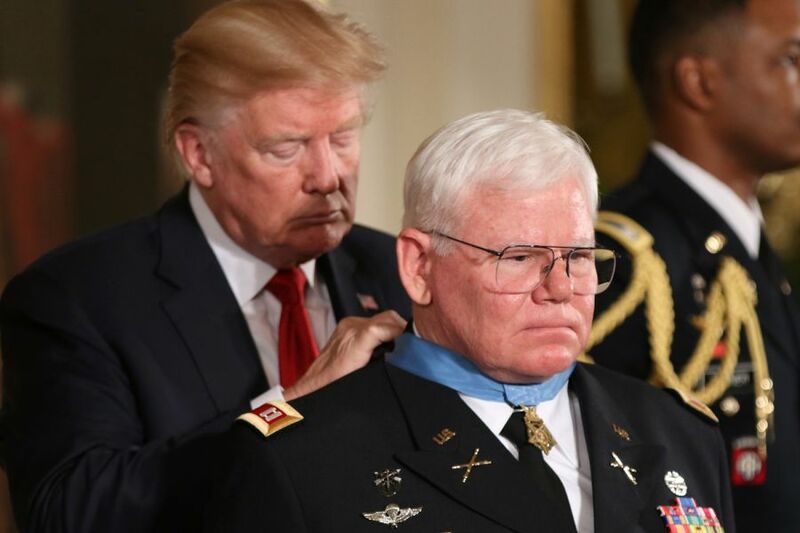 All night, Sergeant Rose exposed himself to the enemy fire, courageously moving from position to position, encouraging the Soldiers and treating the numerous wounded. 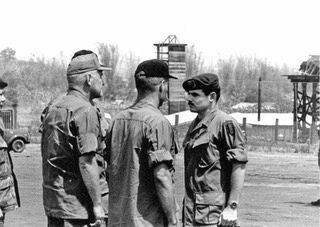 On the last day of the mission, after destroying an enemy base camp, the company was notified by the forward air controller that over 500 NVA were moving on their position. The company was ordered to a helicopter extraction point as Air Force assets cleared their path, guiding the company to the next landing zone. Setting a perimeter around the LZ while each platoon was loaded up, the enemy assaulted them from 360 degrees. The NVA, close on the heels of the company at the landing zone, caused even more casualties among the allied personnel. 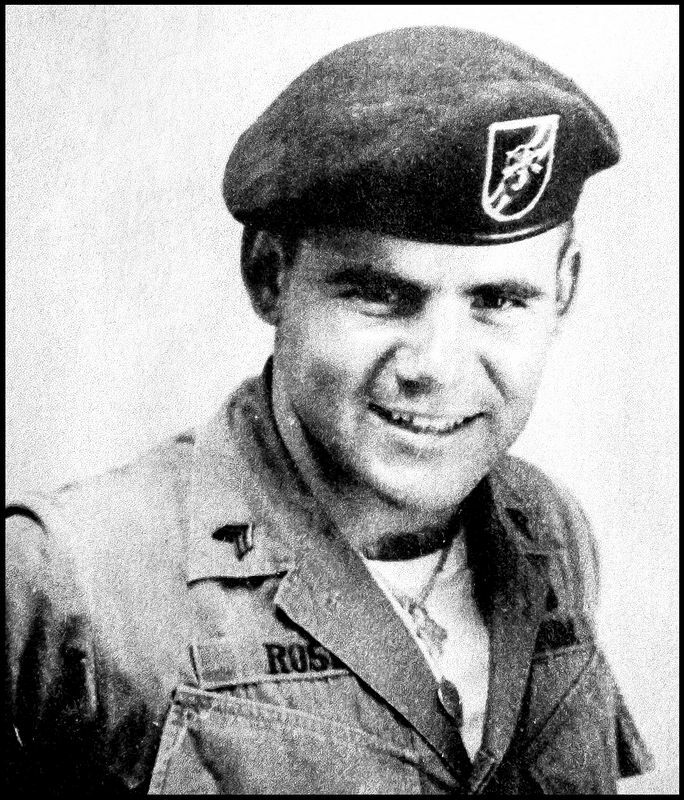 Sergeant Rose moved under intense enemy fire of the assaulting NVA, completely exposing himself, to retrieve the allied dead and wounded and return them to the company defensive perimeter. 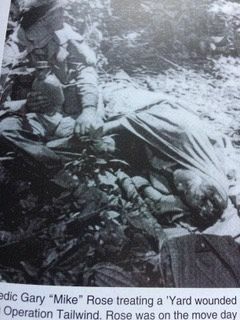 In great pain, Sergeant Rose continued to retrieve and medically treat soldier after soldier, under the withering enemy fire with no regard to his own safety. With the arrival of the extraction helicopters, Sergeant Rose returned to the outer defensive perimeter to engage the enemy and repel the continued and determined enemy assault. Sergeant Rose boarded the final extraction helicopter while delivering accurate aimed fire on the enemy as he hobbled up to the loading ramp. Numerous NVA soldiers were now overrunning the vacated landing zone, an estimated 50 meters from the aircraft. Shortly after the helicopter lifted off, it was hit by enemy anti-aircraft rounds. At about 4,500 feet in the air, Sergeant Rose heard the engine stop. Sergeant Rose was alerted that a Marine door gunner on the extraction helicopter had been shot with an enemy round through his neck. Sergeant Rose rushed to his aid, rendering lifesaving medical treatment that saved the Marine’s life before the helicopter crashed, several kilometers away from the initial extraction point. Sergeant Rose was thrown from the helicopter before the point of impact. With the soldiers on board wounded from the crash, the helicopter was smoking and leaking fuel. Still dazed and wounded from the crash, Sergeant Rose crawled back into the downed helicopter to pull his wounded and unconscious teammates from the wreckage, knowing it could explode at any moment. Sergeant Rose continued to professionally administer medical treatment to the injured personnel until another helicopter arrived on the scene to extract the men. On return to base, Sergeant Rose, covered in blood and wounds, refused all treatment until the other wounded men were attended to first. Despite the many wounded, only three men died during the four days of almost constant contact with a superior enemy force deep in enemy territory. Sergeant Rose is credited with treating 60-70 wounded personnel and saving many lives. 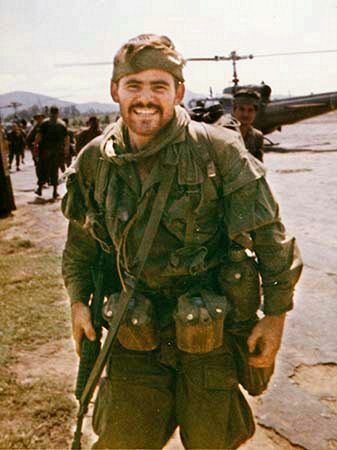 Rose’s unwavering devotion to duty, professionalism and skill in his job as a medic, and extreme courage under heavy enemy fire, reflect great credit on himself, the Special Forces, and the United States Army. 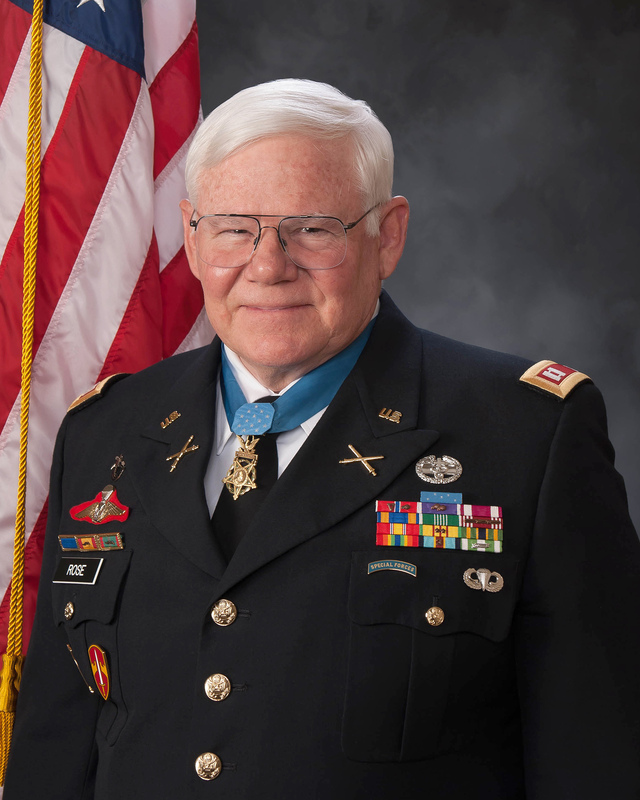 Originally awarded the nation's second highest valor award, the Distinguished Service Cross for his heroic actions during this operation, the US Army and Congress upgraded this to the nation's highest valor award, the Congressional Medal of Honor, in 2016. 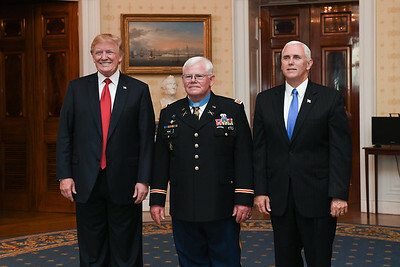 President Trump awarded the Medal of Honor to Captain (R) Mike Rose on 23 October 2017. 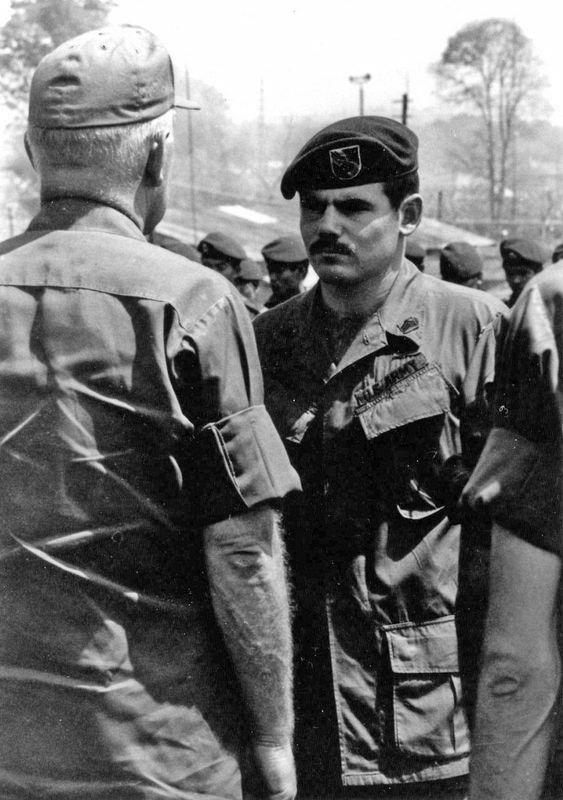 In April 1971, Sergeant Rose attended the Spanish Language School in Anacostia, D.C., then assigned to the 8th Special Forces Group (later designated the 3rd Battalion, 7th Special Group) in Panama until August 1973. 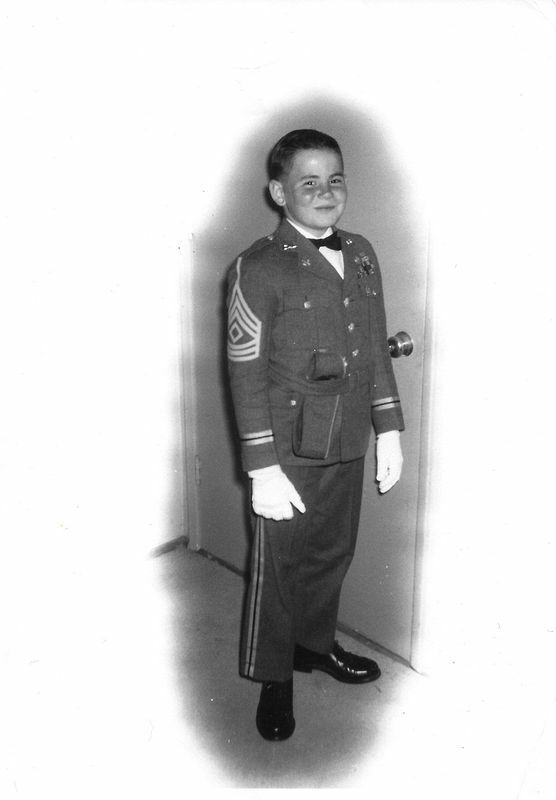 In August 1973, Sergeant Rose was selected to attend Officer Candidate School at Fort Benning, Georgia. 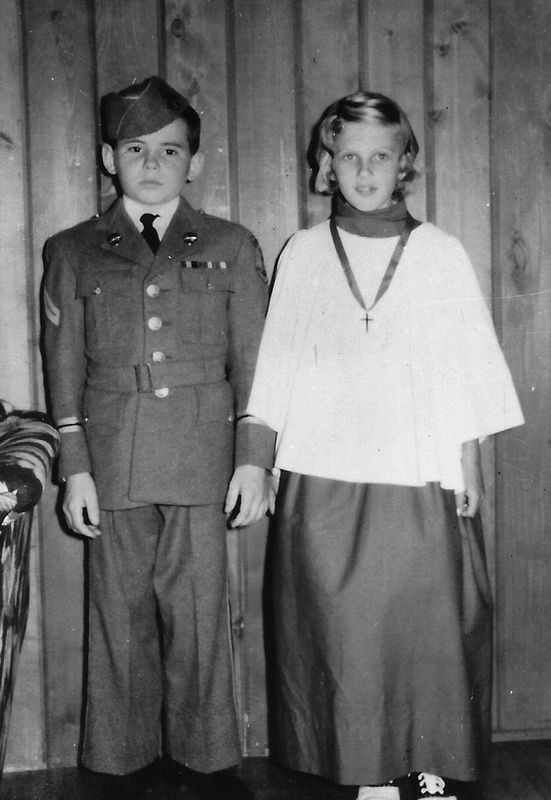 He was commissioned as a second lieutenant in Field Artillery in December 1973, and attended Field Artillery Officer Basic at Fort Sill, Oklahoma. 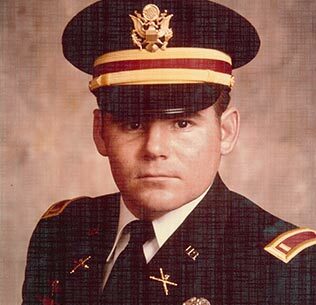 In 1978, Rose attended the Field Artillery Officer Advanced Course followed by various field artillery assignments in Germany, New Mexico, Korea and Fort Sill. Captain Rose graduated in December 1977 with a Bachelor of Arts in General Education and Military Science from Cameron University in Lawton, Oklahoma, and a Masters of Arts in Communication from the University of Oklahoma in December 1989. 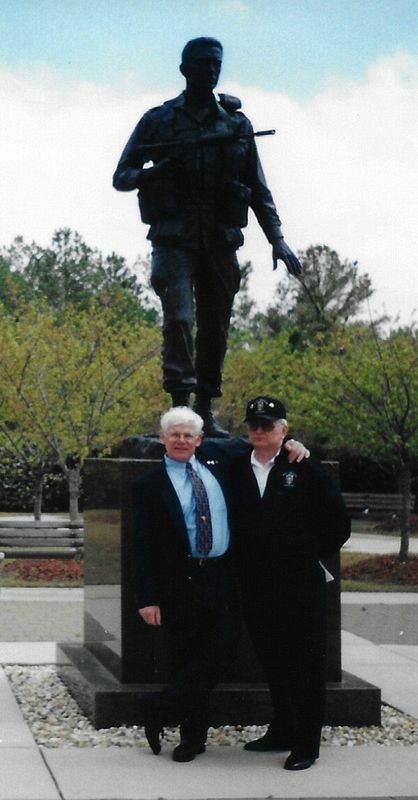 Captain Rose retired from the U. S. Army in May 1987. He then worked as an instructional designer writing operator, user and maintenance manuals, as well as designing training for the manufacturing industry. He permanently retired in 2010. Mike Rose has been married to his wife Margaret since 1971. They have three adult children and two grandchildren. 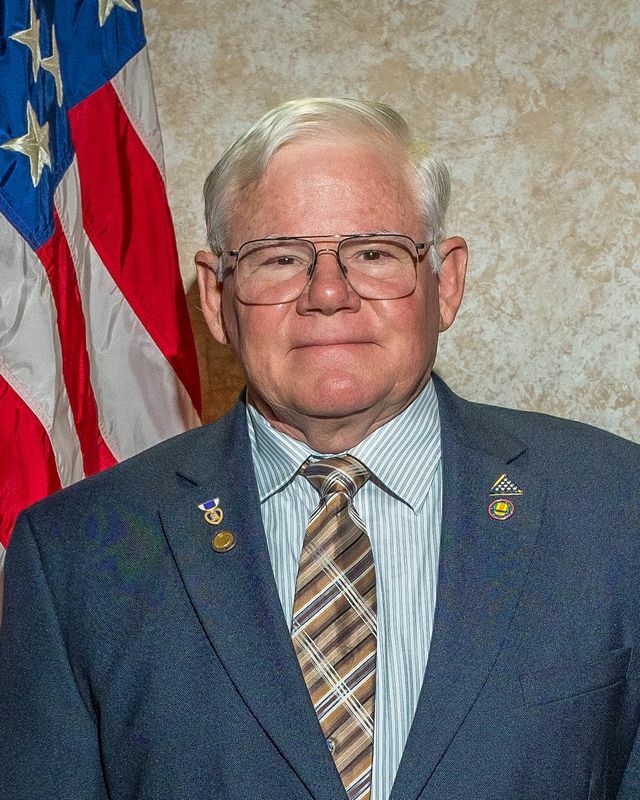 In retirement, Mike Rose has remained involved in charity activities primarily through the Knights of Columbus.